As a popular conference destination, Estonia offers unique conference tours, day trips and excursions to see captivating cities, spectacular coastal scenery and forestland. While Tallinn certainly provides plenty to entertain and interest, there is more to Estonia than the indisputable charms of its capital city. From spectacular coastal scenery and swathes of forestland to captivating cities, steeped in history, Estonia is a unique and dynamic country on the shores of the Baltic Sea. 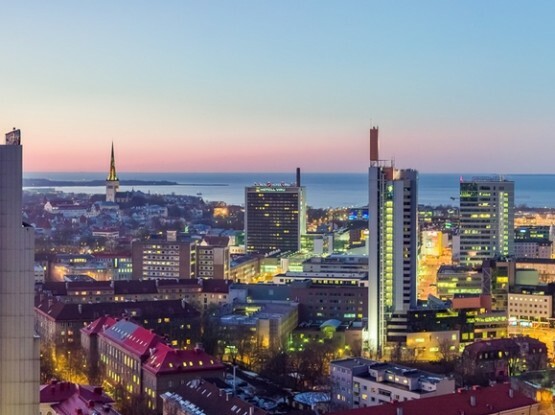 Estonia’s popularity as a conference tourism destination has grown. While business may be the prime purpose of an Estonian conference stay, mixing it with pleasure is equally important. With so much to see and do, ensure your delegates get a chance to explore Estonia. As the country is small, most destinations can be reached within a couple of hours from Tallinn. Why not tag on a tour or two to your itinerary, pre or post conference and allow your visitors to make the most of their Estonian stay. Take a look at our top tour suggestions to help complete a conference trip. Tartu, Estonia’s second largest city, offers a convenient gateway to Southern Estonia. A two-day excursion enables visitors to get to know Tartu and explore the traditional villages along the shore of Lake Peipsi. Tartu is Estonia’s premier university town and is a thriving hub of culture and innovation. A walking-tour of the town reveals its picturesque parks and tranquil riverside. With wooden houses and stately buildings, Tartu boasts an historic setting to explore. The scenic country roads of the western coast of Lake Peipsi are dotted with glimpses of traditional culture. Aristocratic mansions and colourful cottages mark the area known as the Onion Route, a 30-kilometre-or-so stretch of road spanning the southern coast of Lake Peipsi. Inhabited by Russian Old Believers who are famed for growing beautiful golden onions, a guided bus tour introduces visitors to the culture of the Old Believers, a traditional, religious minority recognised as hard-working and skilled fishermen, builders and onion growers. Enjoy hearty, home-cooked cuisine and a taste of Estonian peasant culture. Haapsalu is a seaside resort town, just over an hour’s drive from the capital. A day trip allows visitors to discover the stunning coastline of western Estonia. From monastic ruins to the picturesque promenade, the town is a firm favourite for many Estonians. Visitors can explore the narrow streets and visit the Kursaal, a timber laced Resort Hall and Bandstand which takes centre stage on the seaside promenade. It was built at the end of the 19th century and the only one of its kind that has survived in the original shape. Today the Resort Hall is used for summer activities in Haapsalu, but it was once the favourite place of the Russian Emperor’s court and the aristocracy from St. Petersburg. Haapsalu also enjoys a rich heritage as a spa resort, with the first mud spa opening its doors in 1825 and counting Russian aristocracy among its clients. Still popular with spa lovers today, head to Haapsalu for a relaxing, coastal post conference tour. A popular day trip from Tallinn is a drive around Lahemaa National Park which showcases unspoiled, rural Estonia at its finest. Explore the peninsulas and bays of the indented coastline, alongside forestland, lakes and peat bogs. From hidden waterfalls to abandoned Soviet military installations, this Estonian tour takes in a wealth of stunning sights. With abundant wildlife and an extensive network of forest trails for walkers and cyclists, Lahemaa National Park is the perfect country retreat from the capital. The Lahemaa National Park is best known for the stunning Baltic-German manor houses such as Sagadi, Vihula and the stunning Palmse Manor with its legendary story dating back to the early 13th century and well worth a visit. Visitors can enjoy a day trip to Paldiski and discover its stunning coastal surroundings. Once a key military base of the Russian empire and the Soviet Union, today Paldiski is experiencing a steady regeneration, particularly of its port area. Visitors can take in the sights of the hulking remains of Soviet military infrastructure and enjoy the contrasting wildlife and stunning natural scenery of the Pakri peninsula on which it sits. The tour then heads out to explore the submerged limestone quarry in Rummu. Much of the natural area of the quarry is under a lake formed by groundwater. The quarry is close to two former prisons, the ruins of which are drowning in the quarry lake where the convicts were once forced to work. Today, the area has become a prime location for divers and a stunning, yet strange, beach spot. The day trip enables visitors to discover the natural beauty of Estonia’s north east coastal region. Participants can enjoy spectacular views from coastal cliffs and explore the magic of Estonia’s second largest waterfall. The tour also takes in historical manor estates and the medieval monastery ruins in Padise. For some unique, time-out from Tallinn, take a day trip to Narva. Located at the extreme eastern point of Estonia, by the Russian border, Narva is the country’s third largest city and is situated on the river of its name. Estonia’s easternmost town boasts the best preserved castle (Hermann Fortress) overlooking a large, winding river acting as a border between Estonia and Russia. The nearby Narva-Jõesuu resort is dotted with spas and a large sandy beach that draws in holiday makers every summer. Narva is a melting pot of Estonian and Russian cultures. Once a prime example of Baroque architecture in Europe, the town was heavily damaged in the Second war and almost entirely rebuilt. Narva these days presents examples of classical Soviet-era architecture with some exciting contemporary developments such as Narva College located on the town square, an ultra modern building paying homage to the town’s historical prosperity. A visit to Kreenholm area and Kreenholm Textile Factory is a must to include in the itinerary as it is truly unbelievable experience. Why not consider a two-day excursion to Eastern Estonia? The first day of the tour involves walking along the Viru Bog Study Trail. Viru Bog is just a 30 minute drive from Tallinn, on the edge of Lahemaa National Park. Peat bogs and mires cover a fifth of mainland Estonia and offer amazing, must-see landscapes for nature-loving visitors. The tour continues by bus to explore the nearby coastal villages of Altja and Käsmu. A 400 year old fishing village, Altja has been partly restored to its original appearance and Käsmu, known as the ‘Captains’ Village’, is home to a maritime museum, where visitors can learn all about the area’s time-honored association with smuggling. The seaside villages nestle alongside magnificent manor houses. Among the noble residences is Vihula Manor and Park. Vihula Manor is the most recently refurbished of the residences and is nearly a village in itself, with its charming, working watermill doubling as a cafe. Participants will enjoy dinner at the elegant Vihula Manor Restaurant, which is situated on the first floor of the Main Manor House and enjoys panoramic views of the estate. The restaurant incorporates local, seasonal produce in its menu, with a nod to north-west European and Scandinavian influences. The second day of the tour kicks off with a guided visit to the Estonian Mining Museum. During the guided tour, visitors wear helmets and miners’ lamps to descend up to eight meters underground. The tour offers the unique opportunity to experience the working conditions of real miners, enabling a greater understanding of the oil shale mining industry. The tour culminates in a trip to the unique border town of Narva with a tour of its castle. Estonia boasts some spectacular scenery and inspiring natural landscapes. For visitors who enjoy the Great Outdoors, the country offers much to see and do. The peat bogs and mires that cover a fifth of mainland Estonia offer a unique, outdoor experience. Among the most accessible of the wetland areas is Viru Bog, just a 30 minute drive from Tallinn, on the edge of Lahemaa National Park. The tour enables visitors to traverse the landscape on wooden board trails, while getting acquainted with the area’s flora, fauna and geology. Groups can also go on an off-trail adventure with the help of special bog shoes that work in a similar way to snow shoes. Hikers can walk freely without sinking and causing damage to the environment. Bog-shoeing is an unforgettable experience, that enables your conference attendees to enjoy an up, close and personal encounter with the local ecology. So if you’re looking for a conference destination that can offer unique pre and post conference tours, Estonia has lots to choose from. Contact us and we’ll be happy to find the perfect location to host your next business conference in Estonia.